If you've decided you want to finance your new Harley-Davidson®, you're not alone. Seventy percent of enthusiasts do. With a minimum down payment and approved credit, you can arrange credit financing with us and get out on the road a few hours after picking out your Street™, Sportster®, Dyna®, Softail® or Touring motorcycle. 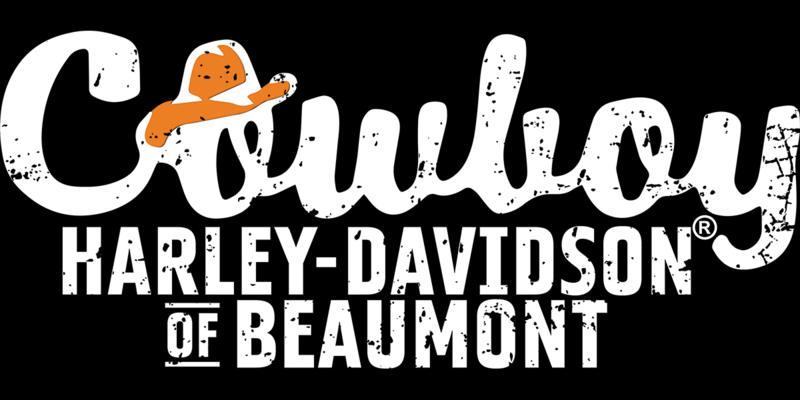 The Cowboy Harley-Davidson® of Beaumont finance team will help you get the new Harley® or used motorcycle that will make it happen via a money-smart, tenacious spirit that won't relent until you have the loan terms as comfortable as our cushiest touring saddle. Our job, after all, isn't just to sell Harley-Davidson® motorcycles, it's to bring you a priceless sense of freedom... and that means zero worry. To set up an appointment with our Harley® finance specialists or to learn more about available Harley-Davidson® insurance options, call Cowboy Harley-Davidson® of Beaumont today, at (409) 840-6969. Or, simply contact us here. Talk to Cowboy Harley-Davidson® about financing your Street™, Sportster®, Dyna®, Softail® or Touring motorcycle with approved credit, and get out on the road today.